Thank you for your interest in our work. 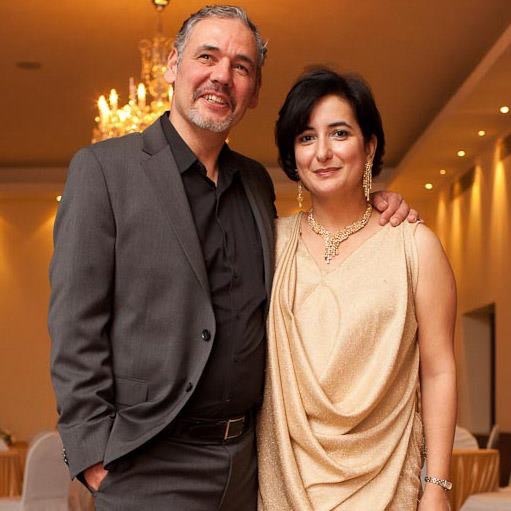 We are Marcel and Meher, photographers, lovers and parents of two wonderful children. We have won multiple awards including over ninety awards from the ISPWP (International Society of Wedding Photographers), Junebug’s “Best of the Best Awards” and the WPJA. Our work has been featured in several wedding magazines, as well as wedding blogs like Style Me Pretty. Our love story began in the darkroom, quite literally, we met while studying photography in Santa Barbara, got married right out of school and have been partners in our work, parenting, and most importantly in the life we have built together for over 20 years. From small backyard weddings, to mega-events with over 700 guests, our clientele is extremely diverse, but what they all have in common is a love of life and family and an appreciation for great photography. Our style is a blend of photojournalism and fine-art/editorial photography with a little edge. Even though we shoot digital now-a-days, film still has a big influence on us in terms of look and feel of our imagery. As documentary photographers we like to capture authentic wedding images that evoke emotion and are timeless. With a strong background in beauty and fashion photography, we also like to spend a little time with our clients to create some stunning portraits. In short, we create imagery that you, your family and friends will be blown away by and that you will cherish for years. We have been photographing weddings together since 2003 and been married for some time longer and still enjoy working together. We are easy going, we believe the photographer should be unobtrusive. It's your day, and we make sure you have fun and feel like a star. We have two wonderful children. Meher volunteers by teaching art in our children's school and is involved in many fundraising activities for the local schools when we are not shooting. We both love to cook and are passionate about good food. Marcel is a "nature guy," he likes to fly fish and does fly fishing photography. Meher loves art and paints when ever she can. We believe in quality over quantity. That is why we only take a limited amount of assignments a year. We design all our wedding albums ourselves. Before we go to print, our clients can view their wedding album proofs online and still can make some changes.